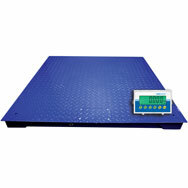 Adam Equipment PT series floor scales feature a low profile design for easy loading and unloading. 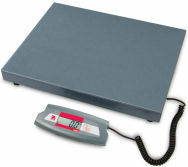 The range incorporates a non-slip checkered plate for added grip. 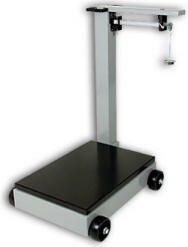 Heavy duty rubber feet support the four load cells ensuring quality and longevity of the bases. The platforms are available with or without the AE403 indicator, a washdown indicator that has a range of features for many different applications. The stainless steel housing is sealed for IP65 wash down environments and comes complete with the wall mount bracket and hardware to place it where you want it. A built-in battery with low battery indicator, an easy-to-use keypad with highlighted tare key and a large backlit display round out the AE403 indicator. With the capacity to run up to eight load cells (maximum 350 ohm each) and a large easy-to-read LED display this indicator provides faster readings. 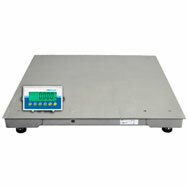 PT series of floor scales feature a low profile design for easy loading and unloading. The range incorporates a non-slip checkered plate for added grip. 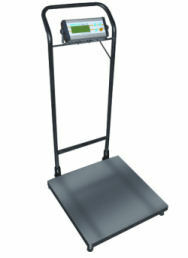 Heavy duty rubber feet support the four loadcells ensuring quality and longevity of the bases. The platforms are available with or without the GKaM indicator, a legal for trade version of the popular GK indicator that has a range of features for many different applications. A built-in battery with low battery indicator, an easy-to-use keypad with highlighted tare key and a backlit display round out the GKaM indicator. With the capacity to run upto eight loadcells (maximum 350 ohm each) and a large easy-to-read LED display this indicator provides faster readings. 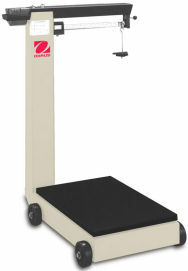 The CAS HFS heavey duty floor scale incorporates a light weight modular steel design that makes it one third lighter in weight than most scales in its class. It is legal for trade with a protected load cell cable. Choose from either a Bright LED or Backlit LCD Display. 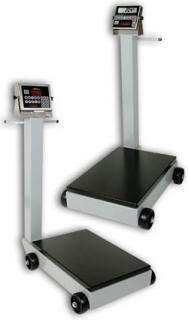 The scale incorporates single pass automatic span calibration and is RFI/EMI Shielded. The indicators are Wall or Panel Mountable and feature Unit Switching and Gross / Net / Tare Functions. 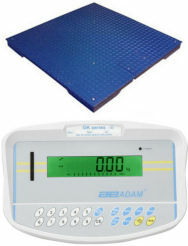 The CAS HFS heavey duty floor scale incorporates a light weight modular steel design that makes it one third lighter in weight than most scales in its class and washdown rated indicators. It is legal for trade with a protected load cell cable. Choose from either a Bright LED or Backlit LCD Display. 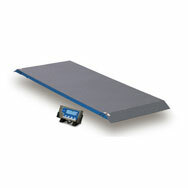 The scale incorporates single pass automatic span calibration and is RFI/EMI Shielded. The indicators are Wall or Panel Mountable and feature Unit Switching and Gross / Net / Tare Functions. With rugged construction to endure demanding washdown environments, PTstainless steel platform scales provide the ultimate in durability for a variety of commercial, industrial and mining applications. PT stainless steel platforms offer a capacity up to 10000lb/4500kg and a readability of up to 0.5lb/0.2kg, and are available in three square platform sizes: 39in/1000mm; 47in/1200mm; and59in/1500mm. Ideal for weighing food products, chemicals, pharmaceuticals or mining materials, the PT stainless steel platform features an IP66-rated load cell and stainless steel junction box, sealed for protection against water and dust. Easy to clean, the grade 304 stainless steel plate can tolerate frequent washing, while the sleek brushed surface helps prevent the accumulation of food and dirt particles. The PT stainless steel scale is supported by a reinforced frame beneath the platform, allowing the scale to accommodate substantial loads. 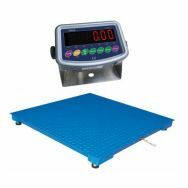 Offering solid, dependable stability, PT stainless steel's heavy-duty rubber feet are adjustable to compensate for uneven weighing surfaces.Optional ramps are tailor-made to fit the exact size of each platform. 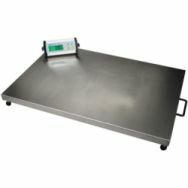 PTstainless steel platform can be paired with the AE403 indicator to provide the features and functions needed for any demanding washdown weighing task.